Hip-firing is one of the keys to successful close quarters combat. Most people end up refraining from it, only firing when looking down the sights for maximum accuracy. This is a big mistake. While looking down the sights is definitely the thing to do for picking off longer ranged targets, it is very unreliable in close quarters. 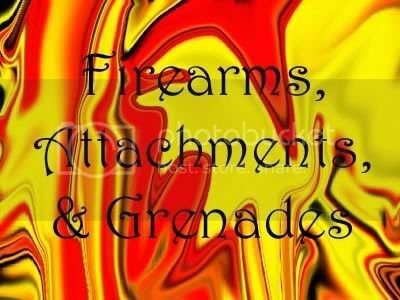 If someone is spraying you or charging you with a bayonet, and you are looking down the sights, your fire is very concentrated on the one spot you are looking, and if they are right in your face, it gets very difficult to get your sights directly on them. Hip-firing offers full mobility (minus sprinting, of course) and a very rough crosshair. With this added mobility, you can move from side to side to juke them out of even backwards to avoid someone with a knife in their hand. Basically, just aim in their general direction and fire. When looking down the sights, it takes a longer amount of time to look from side to side than when looking around from the hip. This makes it a good line of defense against knifers or bayonetters, who will often try to use serpentine patterns to confuse you. Try it for yourself, you will see what I mean. If you don't hip-fire already, it is a very good technique for all close-quarters situations. Heck, it's a proven fact that shotguns even have more accuracy with hip-fire than looking down the sights. That's just another reason to give it a try. This is a knife. When strapped to a gun, it is called a bayonet. 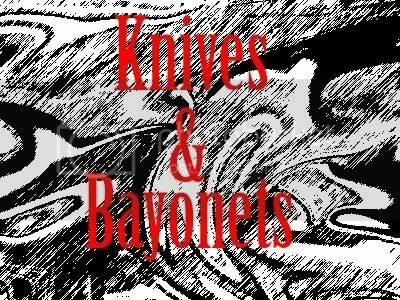 Bayonets, while they take up your gun attachment slot, are like knives with longer range and a shorter animation. Either way, it's a 1 hit kill, making it optimum for close quarters situations. The innocent whining schoolboy wishing to be taught in the ways of CoD:WaW might ask: Oh, but Mr. slice, how on earth do I avoid such a deadly tool? And when that day comes, I will respond, "Well, silly child, it is quite obviously avoided by your maneuverability. Use your head. If they are coming at you, there are two things you can do. As for which one you should use, you have to make a choice. If they are charging you at full speed and not slowing down, you can either spray them while backing up and moving from side to side (with hip-fire, of course) or you can try to suprise them by suddenly lunging foward on your own and knifing them. If they try to stab you and miss, take advantage. Stab them while they are recovering from their failure." "But, Oh Super Awesome Divine , what if I want to be the one slipping a knife in between their ribs?" "Don't get too hasty now, young infidel! While for extreme close quarters situations taking a lunge at them is fine, don't charge them from too far away, now. Let's say you both turn the corner and meet at an archway. If you charge him, you will soon be out of the archway, and exposed to other enemies. You could get by without a problem, or you could also end up getting shot by one of his teammates. Make sure you know where you are, and don't be too hasty. Sometimes it is best to fire to avoid a reckless charge into enemy territory. However, if you have run out of ammunition or do not feel you can switch to your pistol in time to spray him some more, a blatant charge might be the best option. Try to be a bit more strategic abindout it though. If there is no cover, move from side to side and sprint the whole way. Extreme Conditioning might be a good perk for this. If there is cover, try to crouch or go prone beh a bit of cover. Your enemy, most likely desperate for a kill, will charge you. They do not want you to escape, and if you head for cover, well, they feel they have gained the momentum of the tussle. Instead of waiting for them to turn the corner, however, this is what you do. Go behind the cover and anticipate when they will almost be in front of you. Hop out from behind the cover and take a lunge at them. They will not be expecting it most likely and will therefore be unprepared, making them an easy target. . This tactic can actually work for the assaulter and the assaultee." The following is just a list of perks and my thoughts on them for close quarters. It may seem stupid to put Bomb Squad in a guide to Close Quarters combat, but I think it rises a good point. Before you get too reckless, there is a very good chance that there are explosives in the area, especially if you are on the enemy's side of things. Eliminate the possibility of a betty suprising you when charging an enemy with this perk. The flamethrower is a good choice for close-quarters combat, especially ambushes. Basically, when faced with a foe, pull it out and spray them. In combination with Martyrdom, this can be deadly. Even if you just wanted to try to check off a random grenade at the ground before you died, this would give you much more of a chance to take your opponent down with you. If your weapon doesn't have much ammunition in a single clip or you just love to spray, this could save your life. Go prone for a second, reload faster than he anticipates, and pop up for the take-down. It's fairly obvious: Just drop them faster with this perk, and cancel out juggernaut. Just prolong death, and try to prolong it until he has to reload. Then, move in for the kill. Cancels out their stopping power, too. Gets more bullets out for those using automatics. Basically just another method of dropping the enemy faster. If one weapon isn't meant for close quarters combat, such as a bolt-action rifle, then overkill it with something like a shotgun or an SMG to help you out in such situations. This perk is a good choice for any knife/bayonet fanatics out there. If they can't see you on their UAV and get overly reliant on it, slipping behind their lines and taking them out one by one will be no problem. Steady Aim is a great perk for close quarters situations. Now, while a nice spread does help like I listed above, too wide of a spread can be harmful. Steady Aim helps focus your fire, conserving ammunition and dropping the target faster. All for the low price of...FREE! This perk is unlocked by default. Like I mentioned above, Toss Back is a nice perk to have in case you come upon someone using Martyrdom, and is incredibly helpful against the occasional Martyrdom + Fireworks user. It all depends on your personal preference. I feel there are better perks to be used, but Toss Back can save your life if you're quick enough to locate the grenade and chuck it back. This is a good choice for a knife/bayonet fanatic. Approach your enemies from behind and take them out 1 by 1 without them having a chance at knowing what is about to happen to them. This perk is a great choice for close quarters combat. Some feel it cheap, myself included, but why let that stop you? The fact is, he lies dead, regardless of what he thinks about the reason that he lies dead. It's quite helpful for close quarters. If they encountered you on their quest to get past you, and they gun you down, then the less wary ones will just try to rush past you towards their destination. That does not work out too well for them. Even if they knife you, they will have to sprint to get away or be quick enough to toss the grenade elsewhere before it blows them to pieces. For rushing the opponent with your trusty knife or bayonet, this might be helpful to keep you sprinting long after they are out of energy. With this, if you plan just didn't work out quite as well as you hoped it to, this gives you - well, just look at the name - a second chance. Not only can you spray them with your pistol, you can also knife them. And if one of your teammates is nice enough to give you a hand, you might not die after all. For this section, you may notice that some of the weapons have the same descriptions. For example, most of the bolt-action rifles. Thats because the performance of all of these weapons in close quarters combat situations is almost identical, and I'm not going to spend my time trying to reword myself several times to reach the same conclusion. Enjoy. The Arisaka, being a bolt-action rifle, is very poor in close quarters combat situations. Its low rate of fire makes such situations difficult. Without the scope, it does have improved hip fire accuracy, but you're best off not relying on it for close encounters. Make sure you have a reliable pistol or secondary weapon stowed somewhere in that camo vest of yours. Also, make sure to make use of both types of grenades: Not only your primarys, but your secondarys too. With a weaker CQC arsenal than your enemy, you will need all of the help you can get. The Kar98K, being a bolt-action rifle, is very poor in close quarters combat situations. Its low rate of fire makes such situations difficult. Without the scope, it does have improved hip fire accuracy, but you're best off not relying on it for close encounters. Make sure you have a reliable pistol or secondary weapon stowed somewhere in that camo vest of yours. Also, make sure to make use of both types of grenades: Not only your primarys, but your secondarys too. With a weaker CQC arsenal than your enemy, you will need all of the help you can get. The Mosin-Nagant, being a bolt-action rifle, is very poor in close quarters combat situations. Its low rate of fire makes such situations difficult. Without the scope, it does have improved hip fire accuracy, but you're best off not relying on it for close encounters. Make sure you have a reliable pistol or secondary weapon stowed somewhere in that camo vest of yours. Also, make sure to make use of both types of grenades: Not only your primarys, but your secondarys too. With a weaker CQC arsenal than your enemy, you will need all of the help you can get. Though listed in the bolt-action rifle catagory, it is not technically a bolt action rifle. Thus it has a little better rate of fire, but same goes for this gun as the others: Don't rely on it, make sure you have another weapon or some grenades to fall back on. The Springfield, being a bolt-action rifle, is very poor in close quarters combat situations. Its low rate of fire makes such situations difficult. Without the scope, it does have improved hip fire accuracy, but you're best off not relying on it for close encounters. Make sure you have a reliable pistol or secondary weapon stowed somewhere in that camo vest of yours. Also, make sure to make use of both types of grenades: Not only your primarys, but your secondarys too. With a weaker CQC arsenal than your enemy, you will need all of the help you can get. The recoil of this gun makes it very difficult for looking down the sites in close quarters situations. Also, when looking down the sites of this gun, it zooms in a bit, screwing you up. You will need divine intervention to drop your target if looking down the sites the entire time, because every second you shooting at them, you are one step closer to having a knife in your gut. Or a bayonet. Regardless of what shiny pointy objects might be sticking out of your corpse, you do not want them to stab you. So, hip-firing is almost a must. With the big clip of this gun, it shouldn't be a problem. Just aim in their general direction and spray. And if it doesn't work out, never forget you also have a knife. Or a bayonet. If you are deployed with a bi-pod and do not think you can kill them before they reach you, or they are flanking you outside of your range, un-deploy immediately. It certainly isn't a fast animation. If they head for cover, the penetration is pretty good, so make sure to spray it a bit at first. The last thing you want to do is walk into an ambush. The recoil of this gun makes it very difficult for looking down the sites in close quarters situations. Also, when looking down the sites of this gun, it zooms in a big, screwing you up. You will need divine intervention to drop your target if looking down the sites the entire time, because every second you shooting at them, you are one step closer to having a knife in your gut. Or a bayonet. Regardless of what shiny pointy objects might be sticking out of your corpse, you do not want them to stab you. So, hip-firing is almost a must. This particular gun doesn't have a very big clip size, and the incredible fire rate makes short work of it. Spraying here probably isn't the best option. While you should still be hip-firing, do it in short bursts, and try to line up your crosshair right. But, as with all other guns, don't forget you have a knife you can use.If you are deployed with a bi-pod and do not think you can kill them before they reach you, or they are flanking you outside of your range, un-deploy immediately. It certainly isn't a fast animation. If they head for cover, the penetration is pretty good, so make sure to spray it a bit at first. The last thing you want to do is walk into an ambush. The recoil of this gun makes it very difficult for looking down the sites in close quarters situations. Also, when looking down the sites of this gun, it zooms in a bit, screwing you up. You will need divine intervention to drop your target if looking down the sites the entire time, because every second you shooting at them, you are one step closer to having a knife in your gut. Or a bayonet. Regardless of what shiny pointy objects might be sticking out of your corpse, you do not want them to stab you. 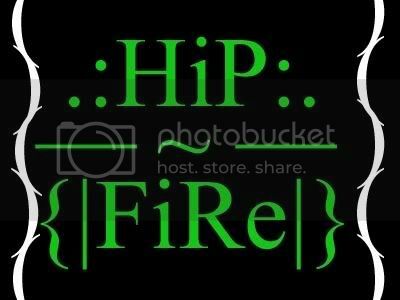 So, hip-firing is almost a must. With the big clip of this gun, it shouldn't be a problem. Just aim in their general direction and spray. And if it doesn't work out, never forget you also have a knife. Or a bayonet.If you are deployed with a bi-pod and do not think you can kill them before they reach you, or they are flanking you outside of your range, un-deploy immediately. It certainly isn't a fast animation. If they head for cover, the penetration is pretty good, so make sure to spray it a bit at first. The last thing you want to do is walk into an ambush. Because this rifle is semi-automatic, meaning you have to pull the trigger one time for each shot, close quarters can be difficult. You DEFINITELY need to hip-fire, and steady aim is recommended for maximum effectiveness. Pretty much just line up your crosshair on them and pull the trigger as fast as you can. That's my recommendation. And if that doesn't work, sprint at them with full force and either stab them or impale them with your bayonet. And if you're using a turbo controller, then just press your fancy automatic-fire buttons and whatnot. I discourage the use of turbo controllers, as they ruin the fun of the game for you and everyone else, but I can't convince you one way or the other. Do as you wish. This rifle, as you probably know, is special for its category due to the fact that is automatic. All you have to do is hold down the trigger and let it fire away. It may not be an SMG or a shotgun, sure, but its not so bad at CQC. Just aim in their general direction and hip fire. Use Steady Aim for best results. If they become blinded by your fully automatic radiance, back up and try to run away, just aim down the sights and finish them. And if they hide around cover, don't be afraid to spray the cover. You don't want to walk into an ambush, and this gun has fairly good penetration. Of course you can't shoot through 10 feet of concrete, but a thin metal sheet shouldn't pose much of an obstacle. And if it doesn't work out, don't forget your primary and secondary grenades. With its great rate of fire and damage, just aim in their general direction and hip fire. This gun is great at close quarters, and so long as you keep your crosshairs generally on them, there's no reason you should lose the fight unless they have a shotgun or perhaps another SMG. Just make sure you aren't walking into any explosives. If it doesn't work out, don't forget your kife. Also, if they run for cover, you're better off spraying the cover than walking into an ambush. The penetration isn't great, but it can take on a thin sheet of metal with no problem. Regardless of this pronounciation, this gun rocks at close quarters combat. The clip size sometimes isn't big enough to get the job done, though, so the Round Drum attachment is recommended. If you dislike the attachment or have not unlocked it yet, your best bet is to still hip-fire but try to burst 4 or 5 shots and keep your crosshairs on the target. If it doesn't work out, don't forget your kife. Also, if they run for cover, you're better off spraying the cover than walking into an ambush. The penetration isn't great, but it can take on a thin sheet of metal with no problem. What is this madness, I beg to know? It begins with a "th", but is pronounced "Tompson"? Has "H" really become that underappreciated? It's madness, I tell you. Madness. Regardless of this pronounciation, this gun rocks at close quarters combat. The clip size sometimes isn't big enough to get the job done, though, so the Round Drum attachment is recommended. If you dislike the attachment or have not unlocked it yet, your best bet is to still hip-fire but try to burst 4 or 5 shots and keep your crosshairs on the target. If it doesn't work out, don't forget your kife. Also, if they run for cover, you're better off spraying the cover than walking into an ambush. The penetration isn't great, but it can take on a thin sheet of metal with no problem. This gun was MADE for CQC. You can fire off two quick shots with it, but that's it, then you have to reload. Thus, Sleight of Hand is recommended for this gun. It's a lot of fun to use and should slay all competition. Also, I cannot emphasize hip-fire enough with this gun. Statistics show that this gun is actually MORE ACCURATE with hip fire than looking down the sights. Take it into a private match and test it out on a wall yourself if you don't believe me. Do a side-by-side comparision. Hip-fire can only help you with this gun. This gun was MADE for CQC. You have to pump after every shot, but so what? All it takes is one to kill. Taking on groups may prove difficult, though, so if you come upon multiple enemies look for cover immediately. It has a hearty 4 bullets before you have to reload, which should be plenty for what you have to do. Don't forget to reload after every kill though, you never know what you may come upon next, and reloading 1 shot at a time is a lot easier and faster than having to reload 4 shots in the heat of battle. But hey, if four wasn't enough, don't forget your knife or bayonet. Also, I cannot emphasize hip-fire enough with this gun. Statistics show that this gun is actually MORE ACCURATE with hip fire than looking down the sights. Take it into a private match and test it out on a wall yourself if you don't believe me. Do a side-by-side comparision. Hip-fire can only help you with this gun. I guess this would work well for not competely CQC, but like between medium and CQC. You should be hip-firing for anything too close. Pretty godly. It's like a knife with a faster animation and longer range. Never forget to use this, it can come in handy. If someone's charging you with a knife, take advantage of the range and lance them before they're in arm's reach. Not really meant for CQC. All I can say is if you are deployed, un-deploy very quickly if you feel you are getting flanked or can't pick off the enemy before they get you. Not really meant for CQC, but might suprise them a bit if they don't even know you're around the corner. Not really for CQC, it actually increases the range of guns and gives them more concentrated fire. If this is on your gun, just focus your fire more. Don't spray as much; try to get your crosshair directly on them. Try to aim at their feet if you meet someone in CQC with one of these already on your gun, but back up at the same time. The radius is pretty large, and you would most likely prefer to be alive. Great for in-your-face combat. It's berserk and powerful. For a little longer ranges, it's probably not the best option. Not at all for CQC. Bolt-actions have better hip-fire accuracy without this attachment, anyways. The reduced muzzle flash and sound helps soldiers in real life, and it's no different for this game. Psycologically, it will help you focus. And if you were firing before that, so long as the enemy doesn't have an active UAV, they will have no clue you are around the corner. Not for CQC. If this is on your gun, hip-fire. Good for CQC, allows you to spray much more. Just aim and fire. Take advantage of the fact that you can bounce this thing off walls. If they run for cover, go ahead and start cooking it while looking for something to ricochet it off of. If there is no such object, just try to pop out from behind the corner, chuck it, and duck back. It takes a while to be able to chuck it, yeah, but if you find the proper time and do it right, you can get the kill with no problem. If you are cooking for CQC, cook to 3 or 4 beats (crosshair throbs). Some complain about the long lighting time, but it's really not that different from cooking a fragmentation grenade (which you should be doing, anyway). Not a big explosion radius, so be precise when throwing. Make sure to duck behind some cover when lighting, its difficult to dodge bullets and light one of these at the same time. Ducking behind cover also will make them charge you, making them a bigger and easier target to hit. And don't try to hit them in midair. Aim for the feet. Explodes pretty fast, and they won't be able to throw back. It's a good thing to chuck quickly. If they run for cover, be right on their heels. Throw it in, back up, and wait. If you don't get the kill, the explosion will provide a good distraction for you to rush in and finish the fight. Also, if you're quick to think, you might be able to stick a wall or the floor beside them. If they are in a corner (which many ambushers use), try to throw it in front of them on the floor so their only way out is to run directly over it, which they might not be quick enough to avoid. You can even just chuck it randomly in the middle of a firefight to distract them. It has a quick animation, making it optimum for things like that. Pretty weak, actually. If you're trying to ambush, this will most likely just let them know you're there, so don't use it then. Your best bet is to be staring them in the face when you chuck it; that's really the only time that it actually has much of an effect. Chuck it and then head for cover and he'll have some trouble knowing where you are. Of course if he's blinded then you can be too, so try to flank him. Great device if used correctly. You can use it for attacking and defending. Naturally if you're looking for cover you can chuck this at the cover and then go prone somewhere and watch for the enemy to stumble in, virtually blinded. Either that or they'll hide outside, giving you a chance to heal and reload. You can also use this as a diversion. If you pop some smoke, they will think you will go through the smoke. You can use this diversion against them and go around the smoke. Flank him and he will most likely be unaware and just staring into the smoke screen. You can also go through the smoke screen, but don't just go charging out. Chances are they will be outside the smokescreen, waiting to catch a glimpse of you so they can spray. If used right, this can be incredibly effective. Make sure to compensate for the bounce, but just whip it out real quick and chuck it somewhere at their feet. Move to one side, because once it pops, they will have lots of trouble turning. A rookie mistake that everyone will make from time to time is popping the gas, then running directly in to it. Try to avoid that. If they head for cover, try to chuck this in then behind them. Back up, allowing it time to explode. Then, rush in and shoot. Don't knife, because if you're that close then you'll end up gasing yourself too. Not everything in here is a procedure that you have to execute. A lot of it is decision making. For instance, if the enemy heads for cover, should you spray the cover or just try to follow them in there as fast as you can before they can establish a good ambush position and heal? You really just have to go by your own judgement and personal preference. As time goes on, you will gain experience and begin to make smarter decisions. The best thing to do is to try one method and if it doesn't work, try another. Thanks for reading. Good luck, and happy CoD'ing.